First Place for "Online and On the Net"
First Place for "Joe Taylor Painting"
People's Choice Award for "Through the Trees"
Second Place for "Honeymoon Cottage"
Awarded painting "Port Theater Interior"
Charles is excited that his painting "Moonlight" won First Place in this juried event.You can view the winning painting as well as other work created during the paint out under New Paintings on the website. 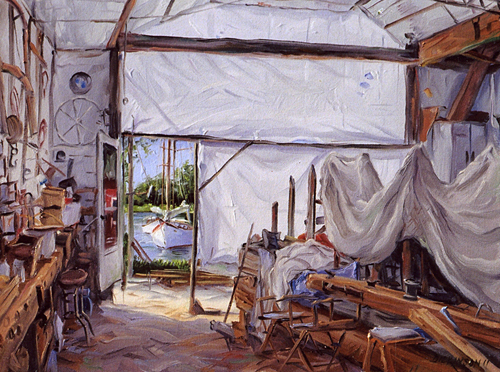 Charles is honored to have his painting Xnides Boat Yard chosen as Best of Show. You can view the painting under New Paintings. "Behind the Fence" was awarded a second award. During the United Way Fund Raiser held during the Crescent Beach Paint Out the representatives of United Way selected Charles' painting "The Apple Jack" as their choice for top honors. Charles' painting "Behind the Fence" was chosen by the participating artists of the Crescent Beach Paint Out as their favorite of the exhibit. This is a great honor for Charles. 13th Annual EpCot Flower and Garden Fest.